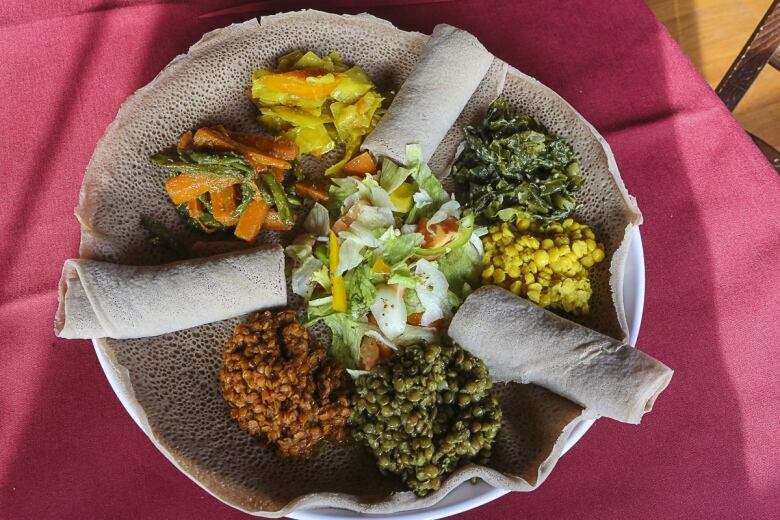 Metro Morning food guide Suresh Doss visits King Solomon and Queen of Sheba Ethiopian Restaurant, which serves a memorable yetsom beyaynetu or vegetarian platter. King Solomon and Queen of Sheba Ethiopian Restaurant is at 360 Queen St. E.
We're exceptionally privileged to have so many great Ethiopian restaurants spread throughout the city. 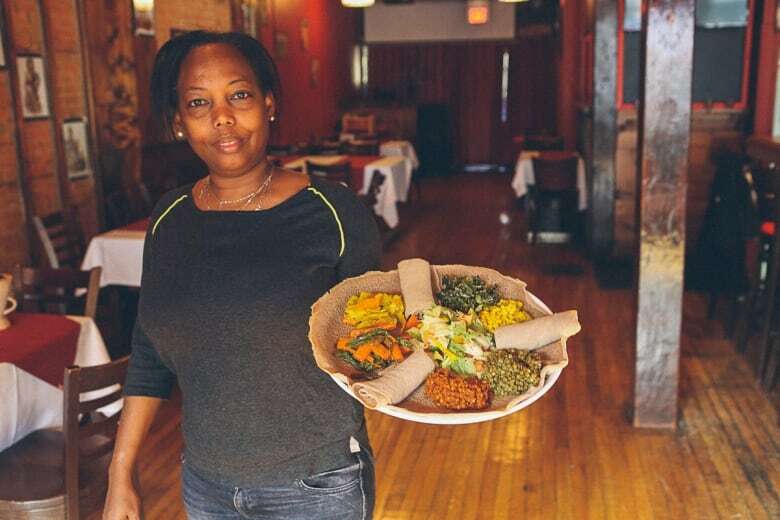 There's a decent strip of Ethiopian restaurants on Queen West — and the best stretch in the city, a collection of eateries along the Danforth in the Greenwood-Coxwell neighbourhood. I was surprised to see King Solomon and Queen of Sheba Ethiopian Restaurant open in a dull patch of Queen Street by Parliament. I was introduced to the restaurant by a good friend of mine who lives near the area. "You have to try this place. It has incredible Ethiopian food," he said to me. During my first visit, I started off with a plate of "red" tibs — beef cooked almost stew-like, served with rolls of injera bread. It was a revelation. There was something about the spice; not overly hot, but rather, smoky, almost earthy. It was different from other plates of tibs I've had throughout the city. Then followed a selection of vegetables: lentils, split peas and some roughly chopped cabbage, each with spice and flavours that were familiar yet foreign. There was some regional specificity to each dish. I visited again and again. Each time, something about the meats and the vegetables stood out to me. There was a freshness and vibrancy, a deep layering of spices. I asked co-owner and chef Alem Mola about it. "It's the spices we use. I import my own spices from Ethiopia. I don't use anything local," she responded, and there it was. Alem Mola was born near Addis Ababa, and moved to Canada in the '90s at 20 years old. "To be honest, I can't say I moved here for a better life because I didn't know anything to really say that. My mom wanted me to move. She really urged me to move here for a better life," she says. "Now I can see that. I love Canada. It has been an amazing experience growing up here. I love this country and I relate and identify to it more than Ethiopia." Mola has no formal cooking background. She was never a chef or cook at a restaurant, but had a deep curiosity. Kassa Zelek, her restaurant partner, explained that Mola had a knack for decoding and deconstructing dishes. Whenever Mola was at an aunt's house, she would learn how to make classic dishes based on observance and some reverse engineering. "I love to pay attention, and I learned to cook that way," she says. Zelek, who has cooked in a number of Toronto restaurants, encouraged Mola to open a restaurant. 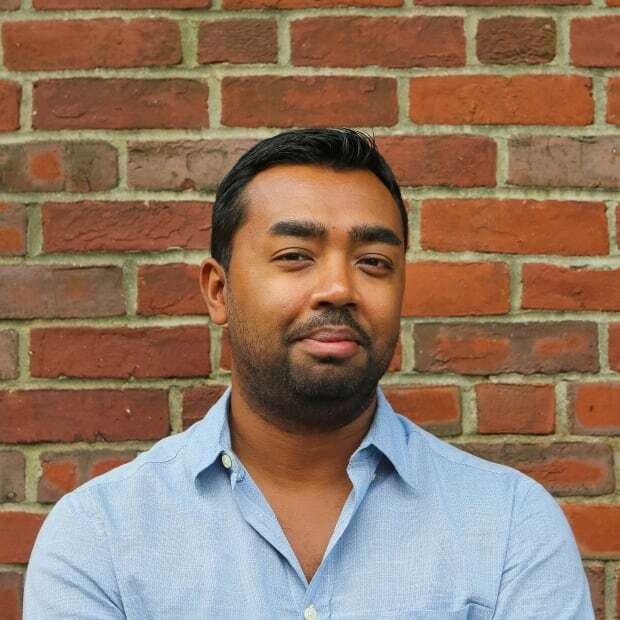 "I reluctantly agreed to do it on the one condition that the food has to feel like it was made in a home. I will do it if we can bring the Ethiopian home to the restaurant." The pair found a space on Queen Street East, and the restaurant was born. Today, they're in the centre of a small restaurant boom taking place on the block. The restaurant features a range of dishes emblematic of Ethiopian cooking. But the best way to experience Mola's homestyle cooking is by ordering the iconic Ethiopian dish yetsom beyaynetu, a vegetarian platter. If you've eaten Ethiopian food, you've had it. Mola's looks familiar, but tastes noticeably different for a few reasons. 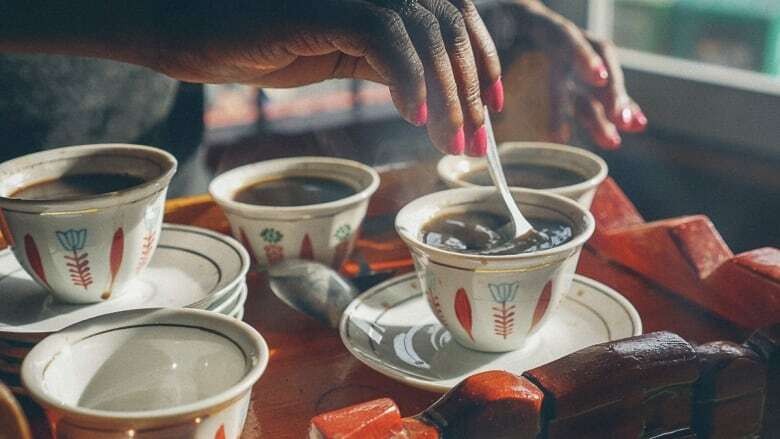 Her commitment to creating the home experience extends so far that she's willing to bring in ingredients — from the spices to the coffee — straight from Addis Ababa or the surrounding highlands. She imports spices regularly and mixes them with berbere (a key spice mixture in Ethiopian cuisine) to make her own house blend. 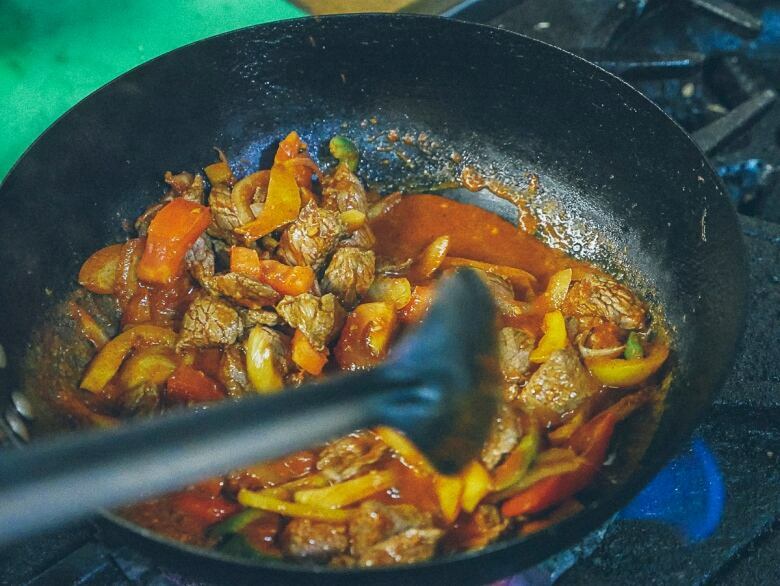 The blend is used to cook everything from the beef tibs to the split peas and lentils. She even imports the injera. "I like the injera here but it's made from a mixture of flour. I prefer pure teff. We fly it in," she says of the iconic Ethiopian flatbread. While there are a few different versions, proper injera is made from types of teff, a cereal grain. Ground teff is mixed with water and left to ferment. After a few days, the batter has a thick consistency and is cooked like a pancake over a clay griddle called a mitad or a large non-stick pan. It's a spongy flatbread with a noticeable fermented flavor, slightly tangy. You tear a piece of injera, shape it into a spoon and use it to scoop up meats and vegetables, customizing each bite. It is this rare combination of imported goods and her skill for cooking vegetables that make the restaurant unique. I'm a meat eater, but at Mola's restaurant, I can eat the vegetarian platter and not miss meat at all. Her vegetarian platter consists of a variety of textures and tastes: pickled cabbage, carrots and beans tossed together in spices, lentils, split peas and spinach. Each has its own delicate flavouring of spices courtesy of Mola's house blend. If you must have some meat, then order the tibs to go along with the vegetables. 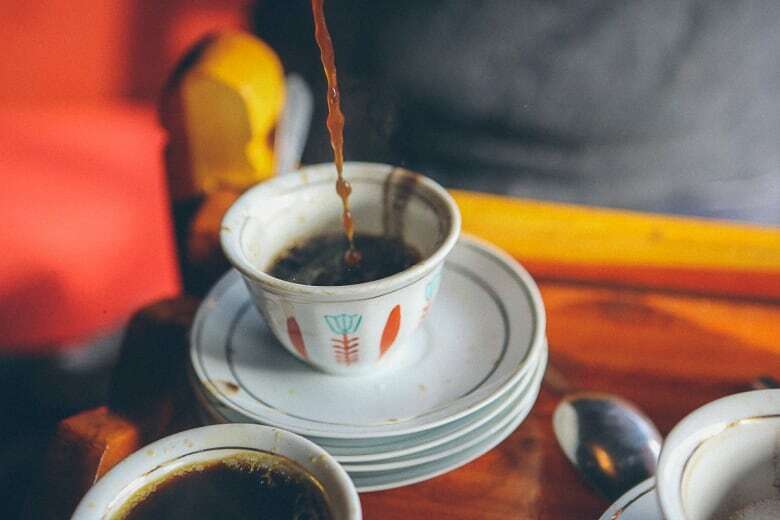 Mola also recommends that guests enjoy some Ethiopian coffee, and that you order it before you order your food. "The coffee takes about 20 minutes to prepare, so I tell people to order it when they sit down if they feel like some coffee and conversation after dinner." The coffee process is laborious but well worth the experience. 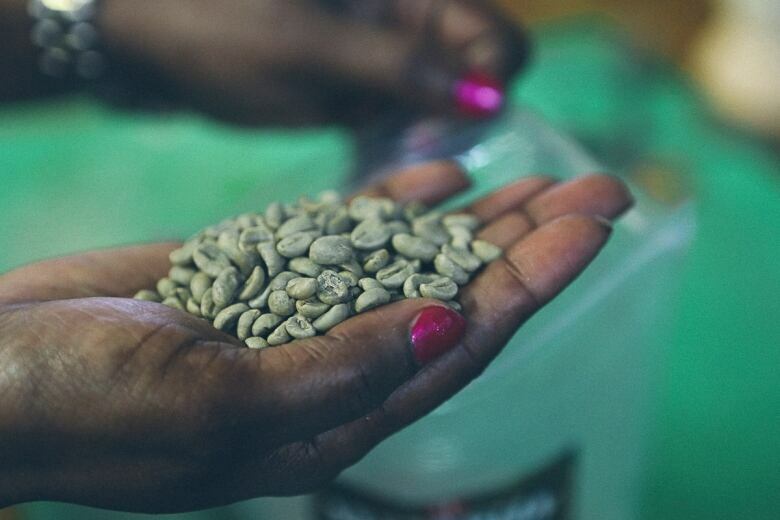 Mola imports green coffee beans from Ethiopia, which she hand washes to order, then toasts them on a large cast iron pan until they are roasted and dark brown. She grinds the beans in a mortar and pestle and brews it in a jebena, a tall clay vessel. She pours it table side, holding the jebena high up, in a slow stream into small ceramic cups. She says that roasting and brewing the coffee fresh is key to its vibrancy and the aromas of nut and smoke fill the restaurant. "As soon as one table orders it, when the aroma fills the room, the entire restaurant wants it."